Working within the still-life genre, Behrens used a cardboard box for the construction, bent and shaped into a workable form. She placed a light inside the box and one on herself to cast an interesting shadow. ‘My practice is often political; everything has some sort of underlying meaning that builds with all the different symbols,’ she says. This painting is full of symbolic references. The light inside the box, for example, symbolises the energy of an artist’s practice, the stairs represent the launch into a career, and the palm tree is some sort of imagined goal, or paradise. The racing car driver symbolises periods of time that pass too quickly, the netballers suggest competitiveness among peers, while the arrows, text and rips on the box are like plans of attack. The glasses refer to Behrens’ recent series Standing still and the soldiers relate to her war paintings. Born in 1975, Behrens is a Sydney-based artist. In 2007 she completed a Master of Fine Art at the College of Fine Arts, University of NSW. Since then she has shown work in numerous exhibitions and has undertaken several residencies in Paris, Kuala Lumpur, Champagne, Berlin and Sydney. 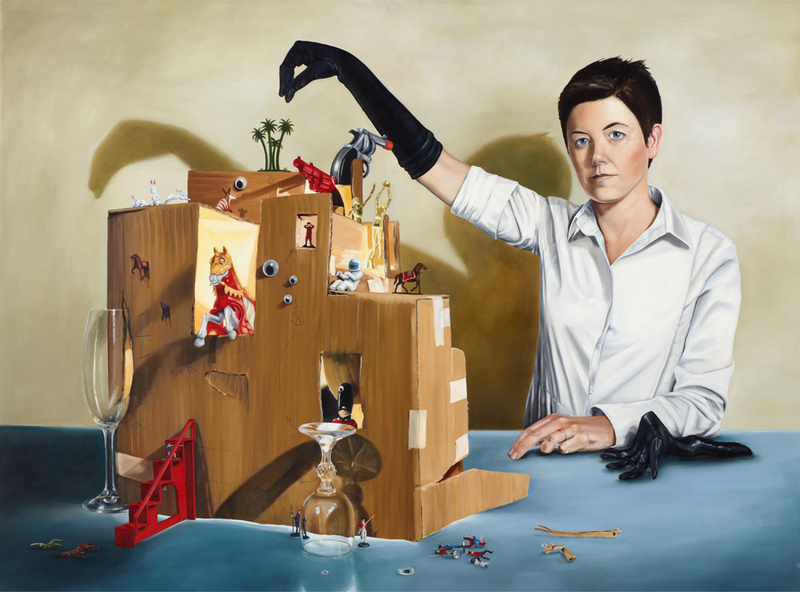 Her work is included in collections such as the National Gallery of Australia, Artbank and the UBS art collection.